All was well until the midnight of May 28. Vote counting was going on in ward number 19 of Bharatpur Municipality. Devi Prasad Gyawali, mayoral candidate from CPN-UML was leading his rival Renu Dahal, the Maoist Center-Nepali Congress candidate who is also the daughter of Pushpa Kamal Dahal (prime minister at the time) with 755 votes. If Gyawali maintained this lead, he would win. So two Maoist cadres, Drona Babu Siwakoti and Madhu Neupane, barged into the counting hall and shredded 90 ballot papers. This story of national disgrace may sound like a distant incident now. It’s fading from public memory. This was the outcome of collusion (they want us to call it ‘alliance’) between Sher Bahadur Deuba and Pushpa Kamal Dahal to keep CPN-UML at bay. But it was not working. Though Nepali Congress had circulated a ruling to party’s rank and file to vote for Maoist candidate, Renu Dahal, cadres on the ground apparently refused to follow this diktat. They were not ready to vote for the party whose cadres had killed and displaced a number of their party fellows during the ‘People’s War’. This is why Ms Dahal was trailing Gyawali. But Deuba and Dahal wanted her to win, anyway. Now the fate of Bharatpur election result hangs in limbo. If the Supreme Court (whose verdict on Bharatpur is due this Friday) endorses Election Commission’s re-polling decision, Deuba and Dahal will most likely flex their muscles to prevent Gyawali from winning. Or people of ward number 19, frustrated with nasty shenanigans of Deuba and Dahal, might turn against them. Bharatpur incident has taken so long to resolve that people are losing interest on what the court will say or who will win. But it needs to be talked about because the message Deuba and Dahal were trying to deliver was threatening: If you must vote, vote for us or the person we support; if you don’t, vote not. 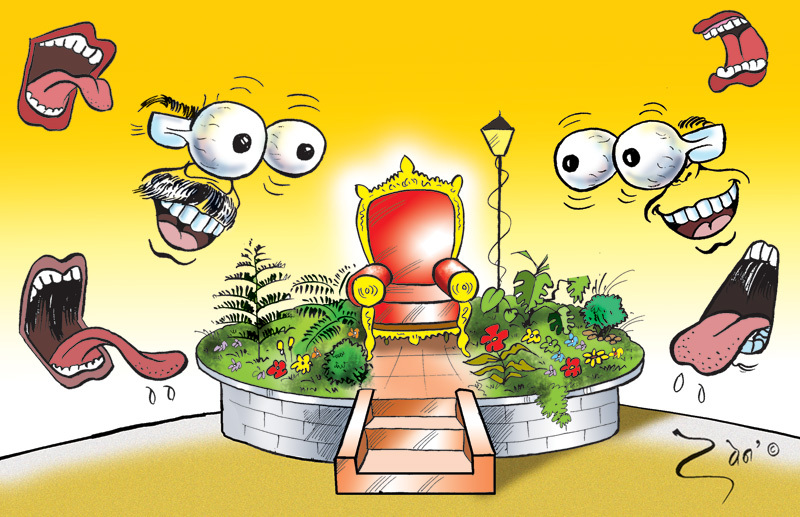 The question is not who should win: Dahal or Gyawali. It is about where we are as a country headed to. It is about this dangerous tendency where political actors think they can do anything they like and yet they can still prevail. To put this into a broader perspective, let me tell you in the following paragraphs what happened in an electoral constituency in Sindhupalchowk. For Bahrabise Municipality, Nepali Congress fielded such a mayoral candidate (let me call him Mr Infamous) that left many committed Congress cadres distraught. The candidate in question had a track record of assisting smuggling of illegal goods along the highway. He was under police watch at one time and has a history of hooliganism. Because he is feisty, muscular and able to spend considerable money, the district president of Congress went for him, closing the door for three other popular contenders: a reputed school teacher (who, according to party insiders, had been made to resign and promised ticket by district president), a long-time local leader famed for his devotion to social service and a young cadre who had stood by the president in the past. But these candidates did not have what Mr Infamous did: money, muscle and proclivity to violence. When the district leader handpicked him, the youngest of the three contenders was so angry that he immediately defected to Maoist Center. This district president has a weird way of doing politics. He publicly boasts of rising to the top (he has become a lawmaker twice and a state minister once) out of sheer luck. When his own cadres question his activity, he tells them that he does not need their votes and that he will buy them, as and when he needs them. And he claims he is Congress and Congress is him in Sindhupalchowk. In public speeches, he boasts of muscle power and threatens physical action against his opponents, if necessary. He was among the leaders to celebrate the release of corruption convicted Congress leader Khum Bahadur Khadka in October, 2013. 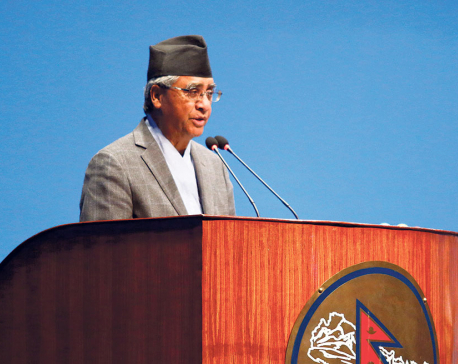 He was also among the first Congress leaders to demand impeachment of Chief Justice Sushila Karki. So what happened when this leader fielded Mr Infamous? We then could not field a person who was moral and humble, say UML cadres. UML sought out a candidate who could counter the influence of the opponent with muscle and money. The president reaped what he sowed. Mr Infamous lost to UML candidate with only 211 votes. If Congress had fielded a more promising candidate, say UML cadres, UML would have lost. But why did Congress field a candidate who would lose? Local cadres say this is his way of doing politics. If he let someone more honest and committed to the people emerge, he would be unpopular in the district. Now that Mr Infamous has lost (partly because of himself and more because of the person who fielded him), he is trying to exact revenge on those Congress leaders who did not actively canvass for him. Recently, he tried to manhandle a Congress businessperson for not doing much to ‘buy’ votes for him. And the district president, instead of regretting his own act, is threatening his unsupportive cadres that he will never allow them to rise up in politics. He is not worried. He is waiting to become a minister in Sher Bahadur Deuba cabinet. I share this with the readers because what happened in my district must have happened elsewhere too. We have a number of such politicians who think election is about influencing voters with money and threats. And the leader I am talking about represents what is wrong with our politics. Political thinker Hari Sharma had rightly told Republica back in May that big political parties in Nepal have become arrogant. “They feel they can get away with anything,” he said, and we face the consequences. Top leaders pick a person implicated in suppressing a democratic movement as the chief of CIAA. He selectively prosecutes those who were against his appointment. When they realize the Frankenstein they installed is about to go after them, they expect the Supreme Court to rescue them. But when the Supreme Court chief justice does for them what they have failed to do (remove the CIAA chief), or when she takes principled stand for the sake of justice, she is impeached. The travesty goes on. This undermines democracy, relegates people to insignificant role and weakens democratic institutions. Politicians stop heeding people. Some politicians suffer from “Hubris Syndrome”, writes Evan Osnos in The New Yorker (May 5, 2017). Osnos cites a study on psychiatric disorder of leaders who wallow in hubris. “Impetuosity, a refusal to listen to or take advice” and “impulsivity, recklessness and frequent inattention to detail” characterize them. For ancient Greeks, hubris (foolish pride and dangerous overconfidence) was a cardinal sin. This is why early Greek writers like Homer, Sophocles and Aeschylus warned against it. If you wallow in hubris, they warned, it will be your undoing. Here in Nepal, many of our politicians are highly hubristic and yet they continue to thrive. They need to be warned of their imminent fall.